Tantalite-(Mn): Mineral information, data and localities. From the manganese content and for the Greek mythical figure Tantalus - for its difficulty in dissolving. Tantalite-(Fe)-Tantalite-(Mn) Series and Columbite-(Mn)-Tantalite-(Mn) Series. Visit gemdat.org for gemological information about Tantalite-(Mn). Albite 42 photos of Tantalite-(Mn) associated with Albite on mindat.org. Quartz 37 photos of Tantalite-(Mn) associated with Quartz on mindat.org. Fluorapatite 21 photos of Tantalite-(Mn) associated with Fluorapatite on mindat.org. Muscovite 18 photos of Tantalite-(Mn) associated with Muscovite on mindat.org. Topaz 16 photos of Tantalite-(Mn) associated with Topaz on mindat.org. Tourmaline 16 photos of Tantalite-(Mn) associated with Tourmaline on mindat.org. Cleavelandite 13 photos of Tantalite-(Mn) associated with Cleavelandite on mindat.org. Simpsonite 9 photos of Tantalite-(Mn) associated with Simpsonite on mindat.org. Aquamarine 9 photos of Tantalite-(Mn) associated with Aquamarine on mindat.org. Väyrynenite 8 photos of Tantalite-(Mn) associated with Väyrynenite on mindat.org. Arzruni (1887), Russ. Ges. Min., Vh. : 23: 181. Palache, Charles, Harry Berman & Clifford Frondel (1944), The System of Mineralogy of James Dwight Dana and Edward Salisbury Dana Yale University 1837-1892, Volume I: Elements, Sulfides, Sulfosalts, Oxides. John Wiley and Sons, Inc., New York. 7th edition, revised and enlarged: 780. American Mineralogist (1988): 73: 666-667. American Mineralogist (1995): 80: 613-619. The following Tantalite-(Mn) specimens are currently listed for sale on minfind.com. Galliski et al. (2001) Bismutotantalite from northwestern Argentina: description and crystal structure. Canadian Mineralogist Vol. 39, pp. 103-110. Sweetapple, M.T., Cornellius, H., Collins, P.L.F. (2001) Tantalum Mineralisation of the Wodgina District: The Wodgina and Mt Cassiterite Pegmatite Orebodies, pp 48-57, Sept 2001. Fetherston, J.M. (2004) Tantalum in Western Australia: Western Australia Geological Survey, Mineral Resources Bulletin 22, 162p. Pecora, W.T., Switzer, G., Barbosa, A.L., Myers, A.T. (1950) Structure and mineralogy of the Golconda pegmatite, Minas Gerais, Brazil. American Mineralogist, 35(9-10), 889-901. Beurlen, H., Da Silva, M.R.R., Thomas, R., Soares, D.R., and Olivier, P. (2008): Mineralium Deposita 43, 207-228.; Beurlen, H., Da Silva, M.R.R., Thomas, R., Soares, D.R., and Olivier, P. (2008): Mineralium Deposita 43, 207-228. 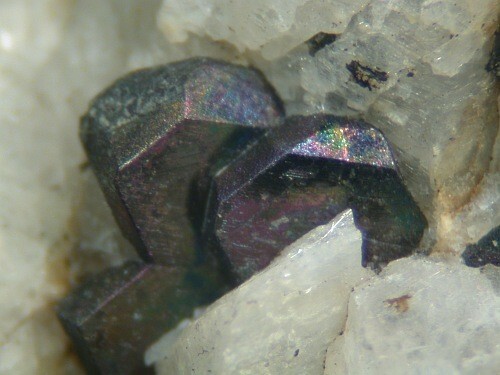 [www.johnbetts-fineminerals.com]; http://rruff.geo.arizona.edu/doclib/hom/parabariomicrolite.pdf. ; Canadian Mineralogist (1986): 24: 655-663.; Beurlen, H., Da Silva, M.R.R., Thomas, R., Soares, D.R., and Olivier, P. (2008): Nb–Ta–(Ti–Sn) oxide mineral chemistry as tracer of rare element granitic pegmatite fractionation in the Borborema Province, Northeastern Brazil. Mineralium Deposita 43, 207-228. M. Masau, P. Cerny, M.A. Cooper, R. Chapman & J. Grice (2002) Can. Mineral. 40, 1649-1655; Morgan Masau, Petr Cerny and Ron Chapman (2000) Exsolution of zirconian-hafnian wodginite from manganoan-tantalian cassiterite, Annie Claim #3 granitic pegmatite, southeastern Manitoba, Canada. The Canadian Mineralogist, 38:685-694.; Bannatyne, B. B. (1985). Industrial minerals in rare-element pegmatites of Manitoba (Vol. 84, No. 1). Manitoba Energy and Mines, Geological Services. CAMACHO, A., BAADSGAARD, H., DAVIS, D.W., ČERNY, P. (2012) Radiogenic isotope systematics of the Tanco and Siverleaf granitic pegmatites; Winnipeg River pegmatite district, Manitoba, Canadian Mineralogist 50, 1775-1792. Ruiling He and Enkui Cao (1985): Geology of Shaanxi 3(2), 39-46. Zhang et al. 2004, Mineralogical Magazine Vol 68, pp. 739-756. Ma Zhesheng, Shi Nicheng, and Ye Danian (2005): Science in China, Series D (Earth Sciences), 48(5), 635-646. Steiger, R. and von Knorring, O. (1974) J. Earth Sci. (Leeds) 8, 433-43.; Ryback, G., Nawaz, R. and Farley, E. (1988) Seventh Supplementary List of British Isles Minerals (Irish). Mineralogical Magazine, vol. 52, n° 365, pp. 267-274. Guastoni A. (2011): Pizzo Marcio e Alpe Rosso. Genesi delle pegmatiti albitizzate e dei minerali di niobio e tantalio. Riv. Miner. Ital., XXXV, 4, 246-253. Guastoni, A., Diella, V., Pezzotta, F., Demartin, F. (2007): Vigezzite and associated Nb-Ta oxides of emerald pegmatitic deposits of Vigezzo Valley (Western Alps, Italy). Crystallization Processes in Granitic Pegmatites - International Meeting. Cavoli, Elba Island, Italy, 23rd-29th May 2005. Abstracts; http://www.minsocam.org/msa/Special/Pig/PIG_Articles/Elba%20Abstracts%2010%20Guastoni.pdf; Piccoli, G.C., Maletto, G., Bosio, P., Lombardo, B. (2007): Minerali del Piemonte e della Valle d'Aosta. Associazione Amici del Museo "F. Eusebio" di Alba, Ed., Alba, 607 pp. ; Guastoni, A., Diella, V., Pezzotta, F. (2008): Vigezzite and associated oxides of Nb–Ta from emerald-bearing pegmatites of the Vigezzo valley, Western Alps, Italy. Canadian Mineralogist, 46, 619-633; Guastoni, A. (2011): Pizzo Marcio e Alpe Rosso. Genesi delle pegmatiti albitizzate e dei minerali di niobio e tantalio. Riv. Miner. Ital., 35, 4 (4-2011), 246-253; Guastoni, A. (2012): LCT (lithium, cesium, tantalum) and NYF (niobium, yttrium, fluorine) pegmatites in the Central Alps. Proxies of exhumation history of the Alpine nappe stack in the Lepontine Dome. Ph.D. Thesis. University of Padova, Dept. of Geosciences, 159 pp. 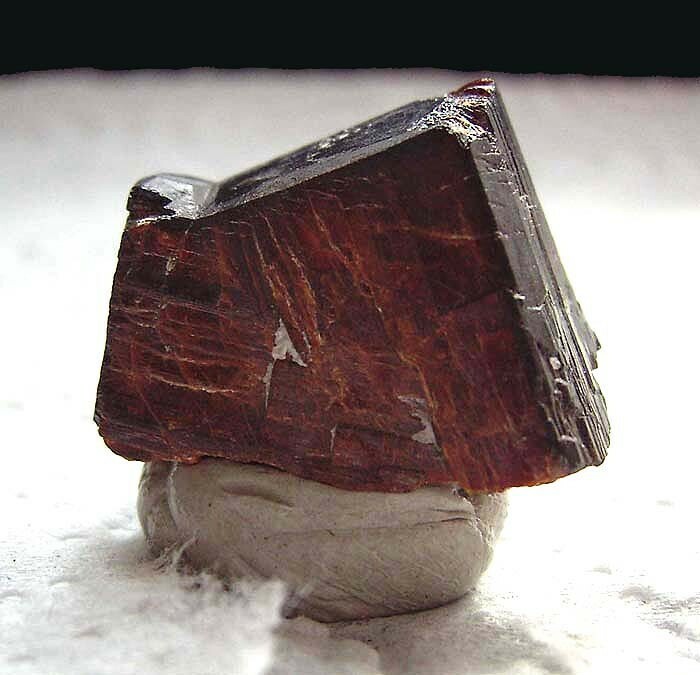 Mineralogical Record, 16 (5), 353-363.
www.petrovrareminerals.com/articles02.html; Shirose, Y., & Uehara, S. (2014). Secondary phosphates in montebrasite and amblygonite from Nagatare, Fukuoka Prefecture, Japan. Journal of Mineralogical and Petrological Sciences, 109(2), 103-108. Martins da Pedra photo and specimen. Stensrud, S. (2009) De opptredende mineraler på granittpegmatittganger i Iveland og Evje. Unpublished paper based on 4 previous papers written together with Johan Løchen. Ellingsen, H.V., Haugen, A., Raade, G., Eldjarn, K. & Berg, H.-J., (1995): Sjeldne mineraler i en amazonittpegmatitt ved Tennvatn i Nordland. Norsk Bergverksmuseums Skriftserie 9, 35-37; Husdal, T. (2008): The minerals of the pegmatites within the Tysfjord granite, northern Norway. Norsk Bergverksmuseet Skrift 38, 5-28. Dudley Blauwet, Bill Smith and Carol Smith (2004) Table of mineral localities of the northern areas of Pakistan and other selected sites. (in "Pakistan: Minerals, Mountains & Majesty", Lapis International, East Hampton, Connecticut); Dudley Blauwet, Bill Smith and Carol Smith (2004) Table of mineral localities of the northern areas of Pakistan and other selected sites. (in "Pakistan: Minerals, Mountains & Majesty", Lapis International, East Hampton, Connecticut); Canadian Mineralogist, Vol. 36, Part 1, 1998, pp. 1-47.; MARWAT, S. K., & ALI, A. TECHNICAL/SUB û SECTOR STUDY ON GEMSTONES IN BALTISTAN, NORTHERN AREAS GEM SECTOR DEVELOPMENT PROJECT BALTISTAN CULTURE & DEVELOPMENT FOUNDATION (BCDF). Geologia Sudetica, 33 (1): 23-31. ; Pieczka, A.; Grew, E.S. ; Groat, L.A.; Evans, R.J. (2011): Holtite and dumortierite from the Szklary Pegmatite, Lower Silesia, Poland. Mineralogical Magazine 75, 303-315. Alfonso, P., Hamid, S. A., García-Vallès, M., Llorens, T., Moro, F. L., Tomasa, O., ... & Parcerisa, D. (2018). Textural and mineral-chemistry constraints on columbite-group minerals in the Penouta deposit: evidence from magmatic and fluid-related processes. Mineralogical Magazine, 82(S1), S199-S222. A. E. Nordenskiöld (1877) Mineralogiska meddelanden, Geologiska Föreningen i Stockholm Förhandlingar, 3:10, 282-286 Arzruni (1887), Russ. Ges. Min., Vh. : 23: 181.
von Knorring, O., and Condliffe, E. (1984) On the occurrence of niobium-tantalum and other rare-element minerals in the Meldon aplite, Devonshire. Mineralogical Magazine, vol. 48, n° 348, 443-448.; Ryback, G., Nawaz, R. and Farley, E. (1988) Seventh Supplementary List of British Isles Minerals (Irish). Mineralogical Magazine, vol. 52, n° 365, pp. 267-274. Jahns, R. H. and Wright, L. A. (1951), Gem and Lithium-bearing pegmatites of the Pala District, San Diego County, California. California Division of Mines special report 7A: 31, 39. Jahns, R. A. and Wright, L. A., 1951, Gem and Lithium Bearing Pegmatites of the Pala District, San Diego County, California. California Division of Mines Special Report 7A, 72p. ⓘ Berry-Havey Quarry (Havey Quarry; Berry Quarry) ? ⓘ George Porter Quarry ? Minerals of New Mexico 3rd ed. ; Jahns, R. H. and Ewing, R. C. (1977): The Harding mine, Taos County, New Mexico. 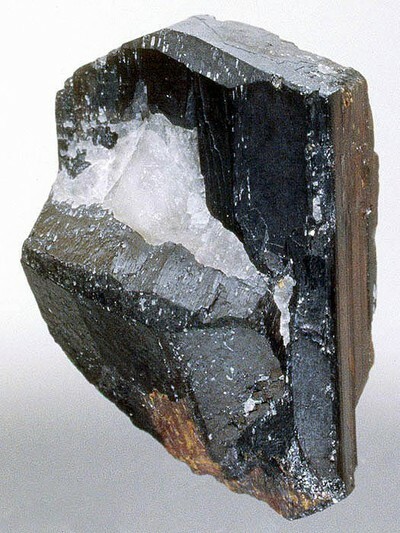 Mineralogical Record, 8 (2): 115-126. AmMin 3:27-28 (1918); Pegau, A. A. (1932). Pegmatite deposits of Virginia. Virginia Geological Survey Bulletin No. 33.; Lumpkin, G. R. (1998). Rare-element mineralogy and internal evolution of the Rutherford# 2 Pegmatite, Amelia County, Virginia; a classic locality revisited. The Canadian Mineralogist, 36(2), 339-353. USGS Bulletin 248B (1952); Arthur A. Pegau (1932) Pegmatite Deposits of Virginia. Virginia Geological Survey; Bulletin 33.; Richards, R. P., Kearns, L. E., & Cook, W. R. (1998). Morphology of Chiolite twins from the Morefield mine, Amelia County, Virginia. Canadian mineralogist, 36, 1009-1016.; Catlos, E. J., & Miller, N. R. (2016). Ion microprobe 208Th-208Pb ages from high common Pb monazite, Morefield Mine, Amelia County, Virginia: Implications for Alleghanian tectonics. American Journal of Science, 316(5), 470-503.